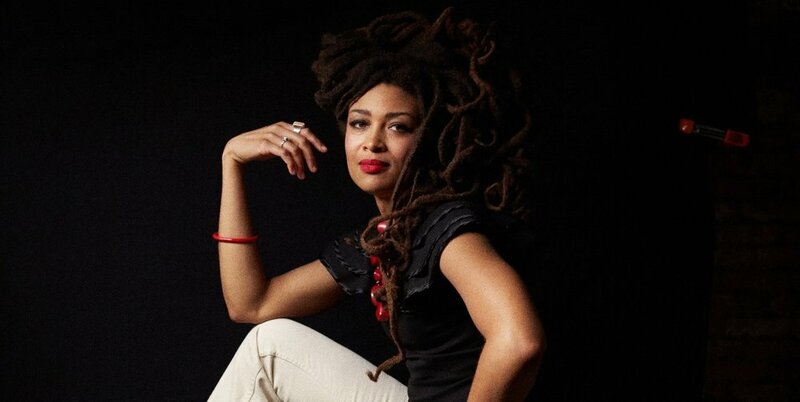 “Understanding the order of time is important to anyone hoping to manifest a dream,” Valerie June asserts in an official statement. “There is a time to push, and a time to gently tend the garden.” Sage advice for all of us as we summon the late Prince’s famous rumination and try to get through this thing called life, but June’s words seem to also apply to her own career trajectory, vicissitudes and all. As one of the most intriguing and impressive voices to emerge in the past decade, June has deservedly garnered an increasing amount of attention from critics and fans alike over the past few years. Though she had been making music for a handful of years prior to its release in 2013, the Tennessee-bred, Brooklyn-based singer-songwriter’s breakthrough album Pushin’ Against a Stone was her formal introduction to many of us. And it was—and still is—an unequivocal revelation. Co-produced by the Black Keys’ Dan Auerbach and Kevin Augunas, Pushin’ showcases June’s unique, kaleidoscopic patchwork of Americana roots music that convincingly and fluidly obscures the lines between country, folk, blues, rock and soul traditions. Coupled with June’s distinctive, endearing vocal style, honest, straight-from-the-heart songwriting and adept string-plucking musicianship, the album’s genre-bending appeal is damn near impossible to resist. Now, with her profile more firmly entrenched both stateside and overseas, June has returned with the much-anticipated follow-up effort The Order of Time. A multi-textured and endlessly listenable song suite, the album reinforces her penchant for defying musical convention and cookie-cutter classification, while solidifying her rightful status as an indispensable talent that demands your attention. Amidst the more cerebral and contemplative fare, June raises the energy level by more than a few decibels with the insistent blues stomper “Shakedown” and effervescent swell of closing track “Got Soul,” both of which amplify her musical, lyrical and vocal versatility. To fully absorb and appreciate the breadth and depth of The Order of Time’s many resplendent and resonant charms, we the listeners must, well, spend time with each of its twelve songs. This is not the kind of album—and June has already proven that she is certainly not the type of artist—that can be understood only upon cursory or inattentive listens. Though our lives are busier and more inundated with noise than ever before, everyone should make time for this magnificent album of inspiration and ingenuity.